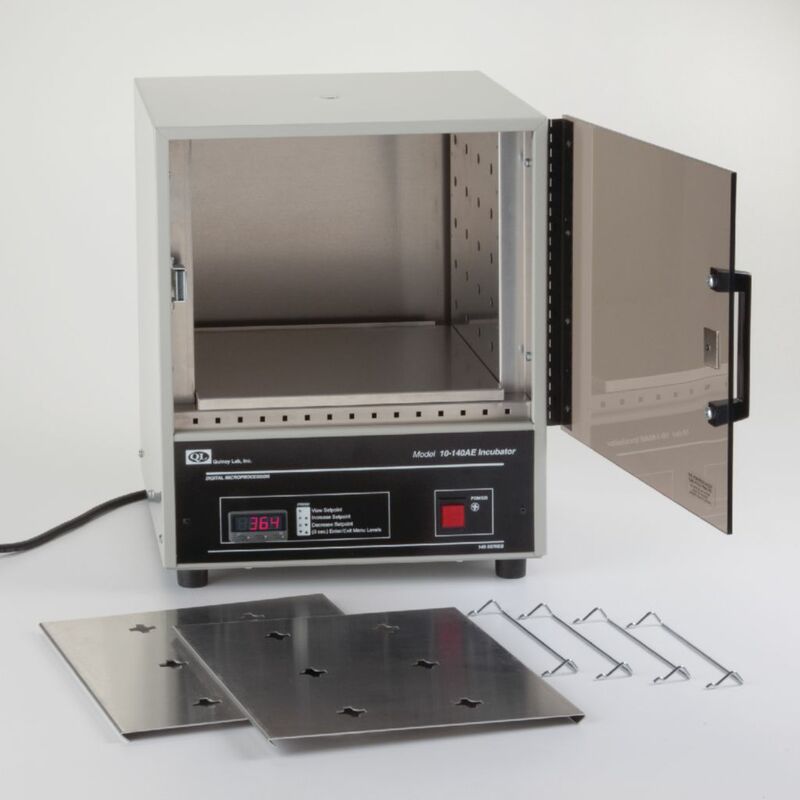 Dependable, compact incubator for cultures, test kits, eggs and biologicals. Ideal for school laboratories. See-through tinted acrylic door enables user to see contents without opening door. Ivory baked-on enamel exterior.Thermometer is included. This incubator combines all the features of an Analog model but offers the ease of temperature setting and stability of a full PID microprocessor that accurately maintains settings within ± 0.25°C even in varying ambient or power supply conditions.